Classes are one-on-one, so you can plan a lesson around your schedule. ﻿Call or email us anytime to set up your next lesson. Learn to shoot great pictures no matter what the subject; landscapes, portraits, action shots, wildlife...It's all within your grasp.﻿﻿﻿Our students have gone on to shoot weddings, commercial events, portraits, and commercial videos! ﻿Learning to take beautiful pictures like this with your own camera is easy! Perhaps you've outgrown your lenses potential? We are always happy to discuss the pros and cons of a new lens with you. If you've got group shots on the mind, you lens needs will be different than someone who wants to get the perfect shoot of an animal in the woods. We also offer instruction on topics such as Advanced Lighting, Setting Wireless Flash Systems, RAW Image Editing, and more. For those looking for 1 on 1 Photoshop instruction, we've got classes for every version up to and including CS5 Extended. How do you get to your photo class? Click here for directions. Let us know what camera you are bringing to the class. Include a phone number if you want us to call you. Classes are held every day but Sunday. Get going with your camera! 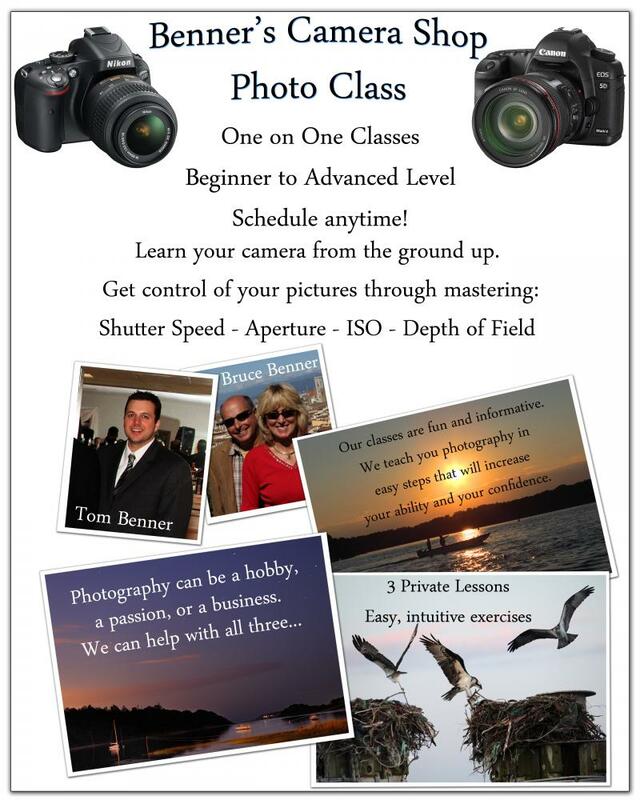 Thank you for your interest in Benner's Camera Shop Photography Classes. We look forward to seeing you soon!